i don't know what was up last week, but i was lucky enough to have two friends give me the same award. thank you Kami and Jess! 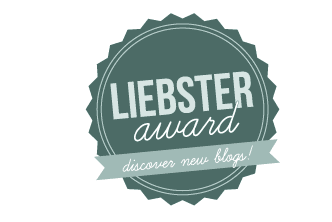 it's called the Liebster Award. ever heard of it? according to Google(baha-doesn't that sound legit) Liebster in German means "beloved, dear, sweetheart, kind, lovely.." who knew right? not me. because there is double duty going on, and they nominated me through my family blog, i thought that instead of answering the questions separately there, i'd combine the two and bring the goodness over here. are you ready to learn about a lot of random facts about me?!muahaha. 1. i love peanut butter and honey on toast. 3. i always end up eating the very last bowl in each cereal box, because Kevin refuses to. it's ridiculous. 4. i secretly hope i will someday have one of those giant clothes closets that are shown on MTV's "Cribs"
5. i could stand in the "office supply" isle all day, as well as the "scrapbook paper" isle...ooo look at THIS pretty color..and THIS one..
6.i look like a ratty-tat-tat right now(aka=hot mess), and should really go shower instead of writing this..
7. i do sometimes wish i could be 5 again. 8. i eat onions raw when the husband is out of town. don't judge. 9. i love watching the Bachelor. 10. i think learning and reading about html is fun. and i have had dreams about it, and blogging. 11. it's late and my eyelids are about to close as i'm trying to think of something else witty to say..
a. Doesn’t 11 seem like a hefty number of people to nominate? >>yes. yes it sure does. i'm racking my brain right now thinking of peeps. b. What is your #1 thing that you splurge on? >>dang. mm-clothes, nail polish, or craft supplies. i can't pick one. i am seriously not wonderful with money. i've gotten tons better since becoming married though(thanks to the mr-he's the best), but man i sure do love shopping. c. What is your dream vacation? >>you'd think this one would be easy, but i really haven't thought about it a lot. i think i would love love love to go to Egypt and Greece with Kevin someday. d. What is something you wish you could learn? >>to be able to tell funny stories with ease. Kevin is the best at this, and can make everything seem hilarious. sure i can write, but when it's in the moment, i have a hard time expressing everything the way i want-let alone being funny! e. What are you really good at? >>listening. probably thanks to "d". i definitely can listen and do it sincerely. i know that people love to talk, and especially about themselves(how ironic i am filling out this questionair .). when i'm talking with someone, i want them to feel understood and special and know that i do care(because i do), and listening shows that. f. According to WebMD, do you have any “conditions”? g. What makes you the most happy? >>my family: Kevin. Bronx. Tank. especially when they are happy, then i'm on cloud9. h. Where do you see yourself in 5 years? >>"settled down"(<what does that even mean??) more in a house(not apartment/condo/renting) with my awesome little family, and there will definitely be new sweet additions! j. Do you know the Wobble Dance? k. Do you sing “L, M, N, O, P”? >>all the time to baby B, without fail. l. Did you cry the first time you watched the notebook? m. Name an experience that was life changing for you? n. If I had to hide a body, would you help me? >>you're out of luck jess, but i'm sure kev would love to help. that seems like more of his "specialty" baha. oh, and he'd most likely consult Siri about it..
o. What is your favorite saying (i.e. Like white on rice!)? >>"this too shall pass" -my mom read it to me in a story once, and it stuck. it especially comes to me on hard days. p. On a scale of 1-5 how confident are you in yourself? >>this is constantly fluctuating. it's been 1,2,3,4 and 5 at times in my life. i'd say that at this moment in time, it is a 4. >>ehh. too personal to share. but i will tell you that one regret i have from my childhood is nail-biting. it was gross and i did it all the time. subconsciously and not. sooooo glad i finally kicked that bad habit! r. What is your biggest struggle? >>(these just get harder and harder kami!) there have been lots, and i may write about them in more detail one day..not now though. currently it is finding a good balance between what i want to be doing, what i should be doing, and what i am doing. i bet that made perfect sense. s. If you were a celebrity who would it be? t. If you could have one do-over what would it be and what would you do? u. What is your creative inspiration? >>anything and everything! right down to the wood grain on the desk that i'm typing at. v. Have you given up answering these yet? okay. that was hard. i think they tried to kill me with some of those questions. i hope you were able to get to know me a little better by reading them though! 1. how do you spell love? 4. do you like camping? 5. something you wish you had this second? 6. braces, glasses, and zits? 7. your most embarrassing moment? 8. one thing you wish you could redo between the ages of 12-18? 10. something you struggle with? 11. best time of the day? They're both hilarious girls, and definitely worth getting to know! Go check 'em out and say hi for me!